Welcome to Whoow.org, a one stop solution for your Auto repair, Windshield, and Wheel related needs in Austin, Texas! Your vehicle is the most important mean of transportation. But, things can go haywire when it develops a problem. We at Whoow Auto Repair Center are only a phone call away to address any issues related to your car. Since the year 2000, we have been providing top-notch auto repair services for people residing in Austin, TX. We also try to educate our esteemed customers about the consequences of mechanical failures of a car. We have a team of ASE (Automatic Service Excellence) certified mechanics, and they have the skills to diagnose any car-related problems. We at Whoow Auto Repair Center understand every person drives their car differently. Therefore, when you visit us, we will customize the car according to your preferences. Your driving experience will never be the same again. Additionally, we prioritize in ensuring the safety of the car owners. Therefore, we emphasize the importance of regular car maintenance to our customers which in turn provide their vehicles to run better. Lastly, we at Whoow Auto Repair Center know the significance of your car in your daily life. For this reason, we offer quick turnaround time and in most case the same day service. We are also setting up partnerships with Interior designing companies and Shipping companies to offer package deals to them on their Auto repair needs so if you are from those businesses feel free to contact us for bulk discounts. We are more than happy and always ready to furnish any car-related details. If you have specific queries, do not hesitate to call us. Our team of experts is still there for helping you. 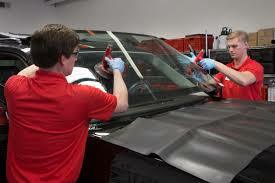 We take great pride being considered the best auto repairing centre in Austin, TX. So, visit us on any weekdays from 7AM to 7PM, and we will schedule the car repair and complete the operation on the same day itself. Visit our Contact Us Page to get in touch!